If you’ve worked on a federal construction project chances are you’ve heard of the Miller Act. The Miller Act (40 U.S.C. 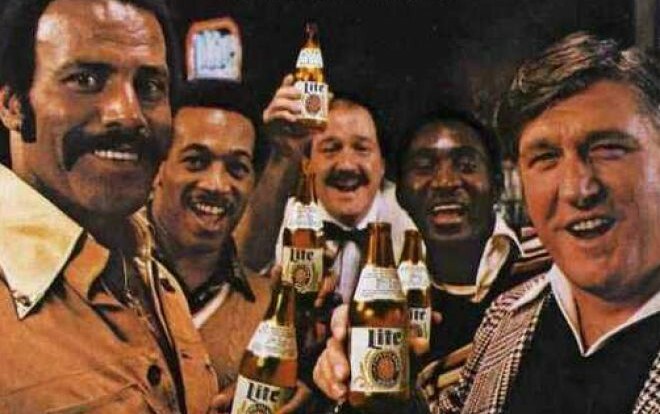 §§ 3131-3134) has less to do with beer than it does with giving federal construction subcontractors and material suppliers some piece of mind when they do pop open that cool one. Named after John E. Miller, former Arkansas Congressman, later U.S. Senator and still later federal judge, the Miller Act was enacted in 1935 in the middle of the Great Depression, to help ensure that subcontractors and material suppliers working on federal projects get paid, by requiring contractors who contract directly with the federal government on federal construction projects furnish payment and performance bonds. What is required under the Miller Act? The Miller Act requires that contractors who contract directly with the federal government for the “construction, alteration or repair of any public building or public work” provide both: (1) a payment bond with a surety satisfactory to the federal contracting officer awarding the contract; and (2) a performance bond with a surety satisfactory to the federal contracting officer awarding the contract. Who is protected under the Miller Act? To understand who is protected under the Miller Act you first need to understand how payment and performance bonds, which are both types of surety bonds, work. A surety bond is a promise by one party (the surety) to pay or perform an obligation by another party (the principal) that is owed to a third-party (the obligee). Thus, in the case of payment bonds, the surety promises to pay subcontractors or material suppliers should the general contractor fail to do so. Likewise, in the case of performance bonds, the surety promises to perform the work promised by the general contractor to the owner should the general contractor fail to do so. Under the Miller Act, a Miller Act payment bond is for the benefit of subcontractors and material suppliers who supply labor and material on a federal project and a Miller Act performance bond is for the benefit of the federal government. Note: Although performance bonds are intended to guaranty performance (not payment) by a general contractor to an owner, under the Miller Act, Miller Act performance bonds are also required to provide coverage for taxes imposed by the federal government on wages paid by the general contractor in carrying out its contract. If a general contractor fails to pay taxes on its wages in carrying out its contract, the federal government has either: (1) 90 days after the general contractor files a return for the period; or (2) 180 days from time when the general contractor was required to file a return for the period but didn’t, to give written notice to the surety. If the surety fails to pay taxes under the performance bond, the federal government then has 1 year after notice was given to bring a civil action on the bond for the taxes. Are subcontractors and material suppliers of all tiers protected by a payment bond under the Miller Act? Second-tier material suppliers who contract with a first tier-subcontractor (note: not material suppliers who contract with a first-tier material supplier). Professionals such as architects, engineers, and surveyors who provide professional services for the benefit of a project may also make claims under a payment bond under the Miller Act. Are there any limitations or requirements for payment bonds and performance bonds under the Miller Act? Yes. Miller Act payment and performance bonds are only required on federal construction projects of more than $100,000. Moreover, a federal contracting officer may waive the requirements of a Miller Act payment and performance bond if the federal project is located in a foreign county and the contracting officer finds that it is impracticable for the general contractor to furnish the bonds. In addition, the Army, Navy, Air Force, and Department of Transportation may waive the requirements of a Miller Act payment and performance bond with respect to cost-plus-a-fixed fee and other cost-type contracts and for federal project involving the construction, alteration or repair of vessels, aircraft, munitions or supplies. And, finally, the Miller Act does not limit the ability of a federal contracting officer from requiring other security in addition to a Miller Act payment or performance bond. How can subcontractors and material suppliers verify that a Miller Act payment bond has been furnished by a general contractor? A certified copy of a Miller Act payment bond and contract pursuant to which it was furnished can be obtained from the department secretary or head of the federal agency contracting for the federal project by submitting an affidavit showing that the person has either: (1) supplied labor or materials on the federal project and has not been paid; or (2) has been sued on the Miller Act payment bond. What do I need to do to enforce a claim against a Miller Act payment bond? It depends on whether you are a first-tier subcontractor or material supplier or not. 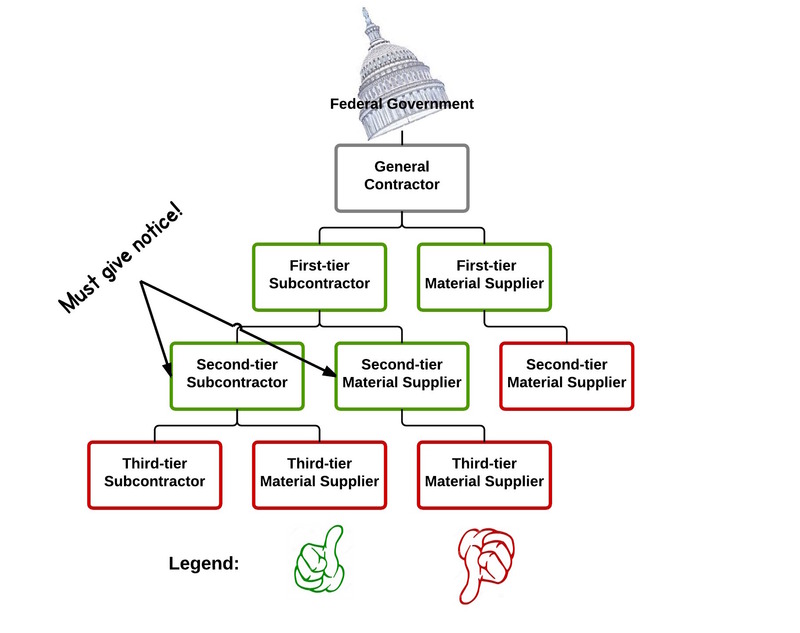 First-tier subcontractors and material suppliers: If a first-tier subcontractor or material supplier has not been paid in full within 90 days after the date in which it completed its work or ceased performing work on the federal project, it may bring a civil action in the name of the United States in the U.S. District Court in the district in which the contract was to be performed. Second-tier subcontractors and second-tier material suppliers of first-tier subcontractors: If a second-tier subcontractor or second-tier material supplier to a first-tier subcontractor has not been paid within 90 days after the date in which it completed its work or ceased performing work on the federal project, it may bring a civil action in the name of the United States in the U.S. District Court in the district in which the contract was to be performed, if it gives notice to the general contractor within 90 days after the date in which it completed its work or ceased performing work on the project which states with “substantial accuracy the amount claimed and the name of the party to whom the material was furnished or supplied or for whom the labor was done or performed.” The notice may be served by certified mail, overnight mail, or by personal delivery in the same manner as a U.S. Marshal serves service of summons. Both first-tier subcontractors and material suppliers and second-tier subcontractors and second-tier material suppliers to first-tier subcontractors may not bring a civil action more than one year after the date in which it completed its work or ceased performing work on the project. How can a general contractor protect itself from a potential Miller Act claim? A general contractor can protect itself from a potential Miller Act claim by requiring a waiver of the right to bring an action to enforce a claim under a Miller Act payment bond. A waiver, however, must be: (1) in writing; (2) signed by the person whose right is waived; and (3) executed after the person whose right is waived has furnished labor or material for use in the performance of the contract. Wow, this is one of the best summaries on the Miller Act which I have ever read, and it’s a very important topic. Those who perform work on or supply materials to Federal construction projects need to understand their rights (and limitations to those rights). Thank you, Garret for another great article! Thanks Mark. Hope all is well at the Georgia Construction, Bond and Lien Law Blog.